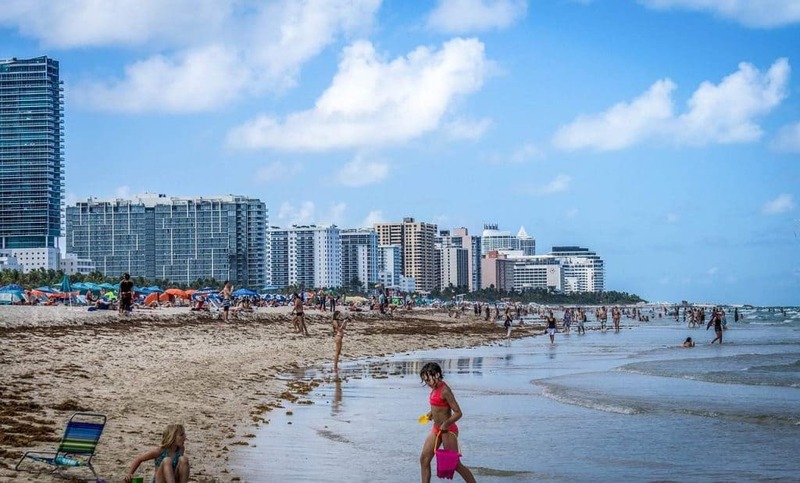 Miami Beach, Florida’s jewel by the sea, is the perfect family destination for fun in the sun. Miami Beach boasts a beautiful, white, sandy shoreline nestled against the openness of the Atlantic Ocean. With perfect weather year-round, there is never a shortage of things to do and places to see in this lively city. Miami Beach is famous for its vibrant and elegant hotels, shopping, bars, restaurants and attractions. Visitors can experience and learn about the art, architecture, food, festivals that have defined Miami, as well as the Art Deco District, as a cultural and artistic mecca. Adults and children alike will enjoy the many historical, cultural, and natural points of interest conveniently located throughout the city. Visitors can take a stroll down the four mile boardwalk of Miami Beach. The boardwalk runs from 5th to 46th Street. The walkway is both paved and wooded, winding along Ocean Drive. The walkway winds past oceanfront hotels, restaurants, cafes, and shops. Visitors can spend the day trying delicious Cuban, Spanish, or Caribbean cuisine, shopping, and enjoying panoramic views of the Atlantic Ocean. Miami’s has strong cultural influences that shape the art and architecture of the city . Miami is made up of many cultures such as Cuban, Spanish, Puerto Rican and the islands of the Caribbean. Miami’s cultural influences add flavor and color the interiors and exteriors of a variety of homes, restaurants, shops, hotels and buildings. The Art Deco District of Miami is a great place to learn more about the historical significance, cultural and architectural aspects of the city of Miami. Tours are guided by locals who have an extensive knowledge of the various architectural styles found in the area The tours are 90 minutes in length. They are not offered on Mondays and Tuesdays, but operate the rest of the week. Visitors will observe the interior and exterior styles of restaurants, hotels, shops and other buildings. Families will enjoy the many attractions and points of interest Miami has to offer. These are one in a kind experiences that are conveniently located throughout Miami. Visitors can visit and enjoy unique places such as Everglades National Park, the Historical Museum of Southern Florida, the Miami Metro Zoo, Miami Beach Botanical Gardens, the Space Transit Planetarium, Everglades National Park, Miami Seaquarium, Miami Museum of Science, Vizcaya Museum and Gardens, and Parrot Jungle and Gardens. The Parrot Jungle is a great example of an experience animal lovers and bird lovers will not forget. The brand new 18-acre waterfront facility has lush, beautiful grounds that look exactly like the natural habitat of cockatoos, macaws, parrots, and flamingos living in the wild. The Parrot jungle collection of wild birds and parrots is immense. The birds are housed in outdoor aviaries. Visitors can watch, talk, feed the birds up close. Admission is affordable, and the memories will last a lifetime.